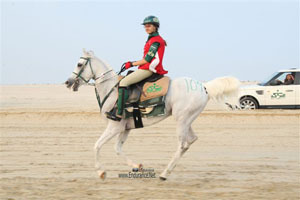 SAUDI Arabia's Latifa Al Shaikh won the women's race in the Shaikh Nasser bin Hamad Endurance Horseride Championship on Saturday at the Bahrain International Endurance Village in Sakhir. Clydia Wins Easter Mojave Scenic Ride!!! !